First of all I would like to thank Logitech for sending me the mouse for review. The mouse can be found on AmazonUK for around £50 & AmazonUSA for around $50 – as I am a UK based reviewer I will be reviewing it at the £50 price tag. After previously reviewing the SteelSeries Sensei [RAW], the Razer DeathAdder Chroma and even the Steelseries Sensei Wireless, I was interested to see how the Logitech G303 would compare and furthermore if it could dethrone my Anker mouse, which is my daily mouse, whereby the other mice weren’t able to dethrone it. 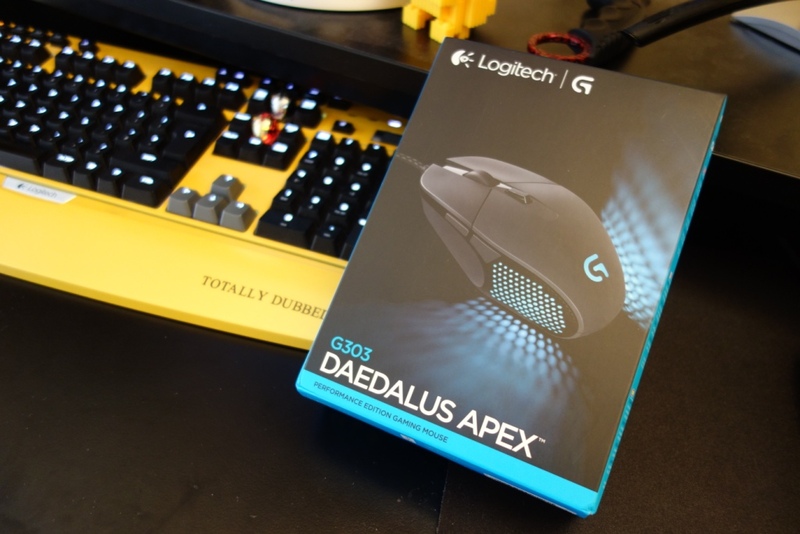 This entry was posted in Technology & Gadgets and tagged 3366 Sensor, Apex, Daedalus, Daedalus Apex, G303, Gaming, Gaming Mouse, Logitech, Logitech G303, mice, Mouse, Pixart, Pixart 3366 Sensor, Review, sensor on October 20, 2015 by TotallydubbedHD.